Hillary Clinton’s security ejects a black lives matter protester from a speaking event this week. 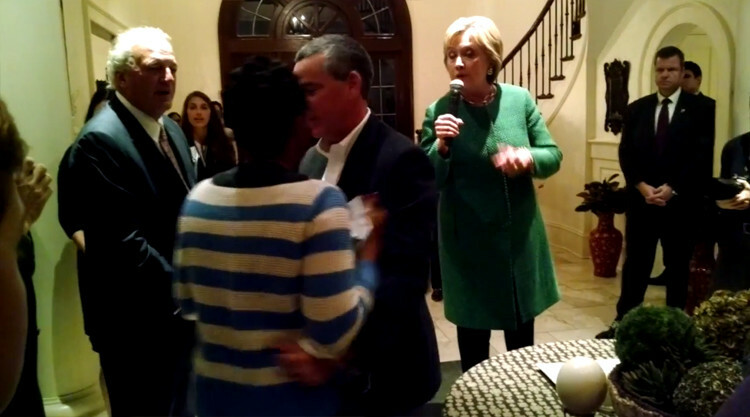 Shaun King, senior justice writer for the NY Daily News and a leading voice in the “Black Lives Matter” movement, posted remarkable footage of a #BlackLivesMatter activist being ejected from a fundraising event for Democratic presidential hopeful Hillary Clinton. Clinton’s security detail can be seen ejecting the #BlackLivesMatter protester for that interruption and for calling Clinton out for making mass incarceration worse. “We have to bring them to heel,” her sign reads in reference to the crime bill and welfare reform policies enacted during President Bill Clinton’s administration – policies that were strongly pushed by Hillary Clinton at the time.